I thought that'd be a good opening because if you didn't know (I think you do, though), fig season is about three seconds long. 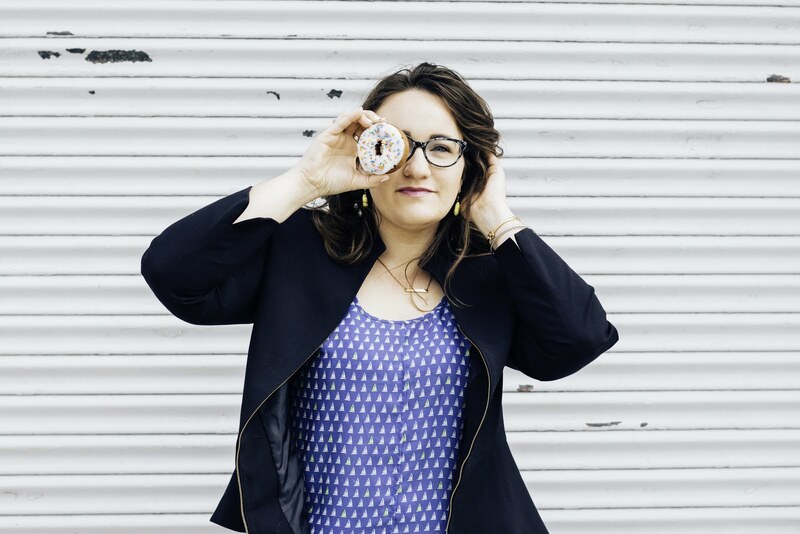 During the roughly two weeks of Indian summer, fig trees drop hundreds of pounds of highly perishable, tear-drop shaped fruits which look pretty alien when you slice them open. They don't last, and you can't possibly ship them thither and yon and that's why they're difficult to find at grocery stores - my best guess is that you'll be able to find them in your back yard, your neighbor's back yard, a farmers' market, or not at all. I thought I'd be resigned to the Not At All club until my friend Jessica pulled through for me and brought me two egg-cartons full of figs from her parents' house. Thanks, Jessica, for saving the day! 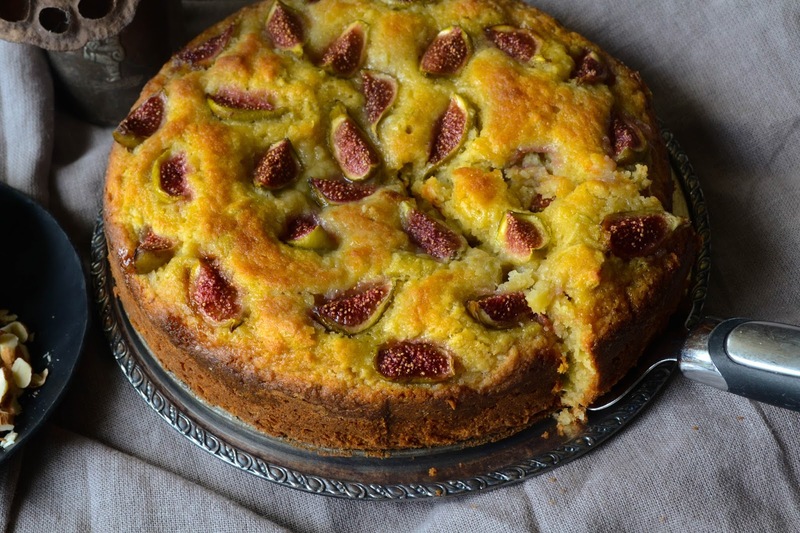 But even before I had figs in hand, I day-dreamed about making this cake. 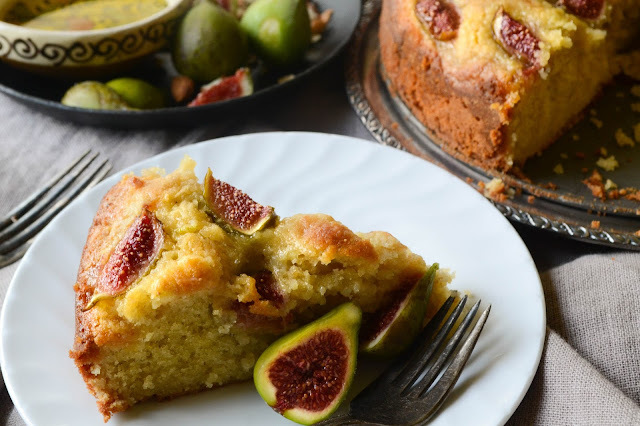 Some part of my instinct (or memory) told me that olive oil and figs would pair well and that a cake was the perfect platform to show them off. Another part of me just wanted cake. A third part of me just wanted to cut figs open and stare at their weird beauty. You know, as you do. 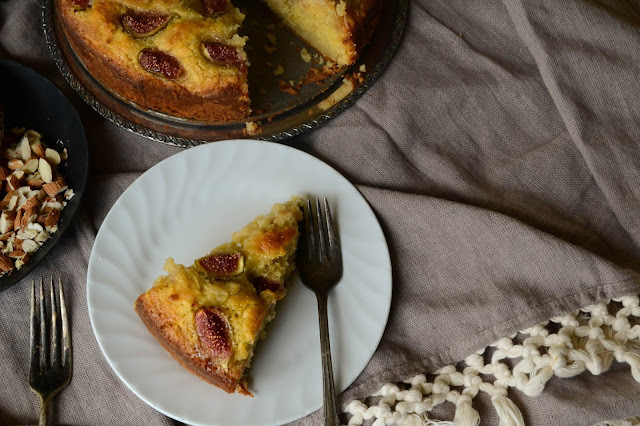 To create what my imagination had conjured up, I looked to two recipes: "Louisa's Cake" from Food52 and "Fig & Olive Oil Cake" from Shutterbean. Both had elements I wanted to include in this recipe (like a moist, substantial cake and loads of flavor) but neither had my full mental list which included almond meal, just the slightest pinch of olive oil, lemon zest and a reckless dash of coriander which I knew had to be included after I snuffed it in passing while browsing my spice cabinet. 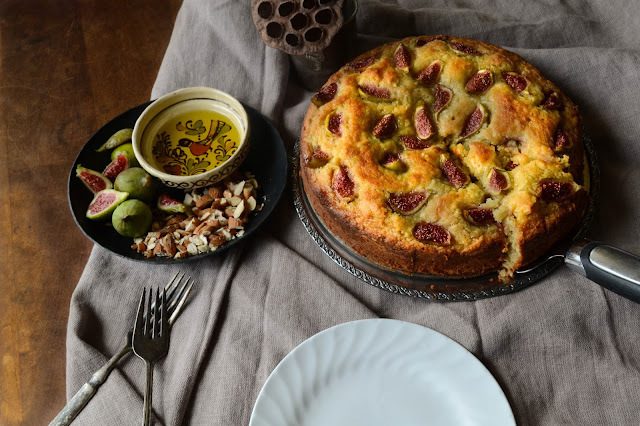 After tinkering a bit with the various components from the two recipes and constantly checking it against the cake in my imagination, I beat together the cake whose recipe I'm sharing below. By the time it came out of the oven, I was purely in love with this wholly Italian cake. Can I just be in Sicily already? No? Oh, okay. 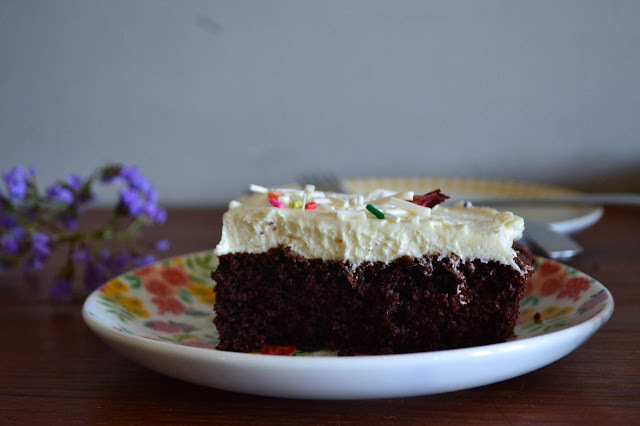 Please pass another slice of cake. 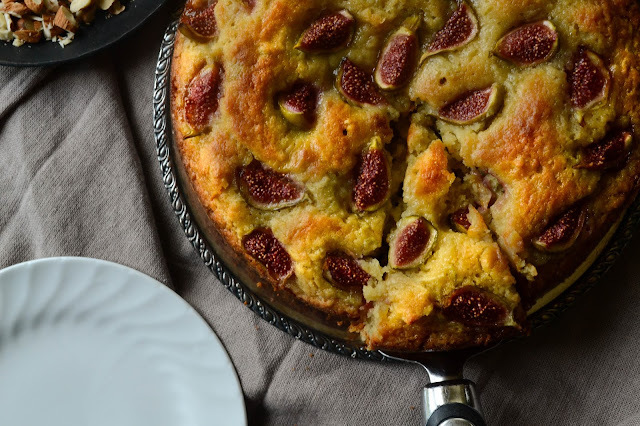 This fresh fig and olive oil cake is sublime on its own, or you could top it with a scoop of honey-sweetened yogurt. 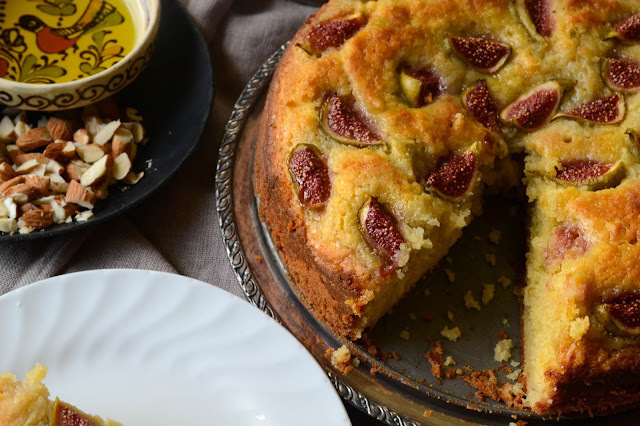 As I composed the cake to have just a faint hint of olive oil flavor, you could also finish your slice with a drizzle of olive oil if you want full flavor. There you go! I don't want to say anything else about it because I think it speaks for itself. 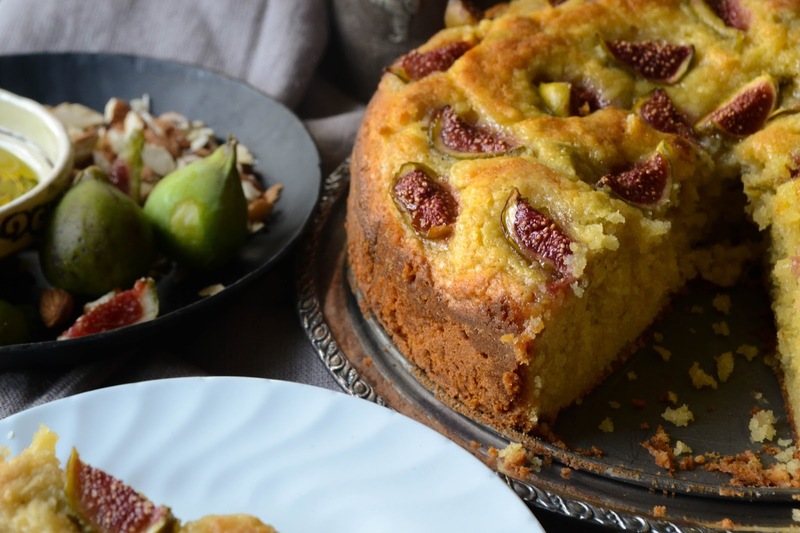 In absence of fresh figs which I know might be difficult to get, dried figs could be used. Now go, bury yourself in an Italian paradise! Heat oven to 350 degrees F. Butter and flour a 9" spring-form pan, set aside. In a large bowl beat butter with sugar and olive oil until fluffy. On low speed, add eggs one at a time. In medium bowl whisk together almond meal, baking powder, coriander, and salt. Add to the butter mixture, then add in ricotta, milk, apple, and lemon zest. Beat until just mixed. Spread batter in pan and bake for 13 minutes. Remove from oven and press quartered figs into the surface of the cake. Brush with honey, then return to the oven for an additional half-hour or until a toothpick inserted near the center of the cake comes out clean. Allow to cool completely, then remove the sides of the spring-form pan. If desired, top with olive oil or sweetened yogurt.